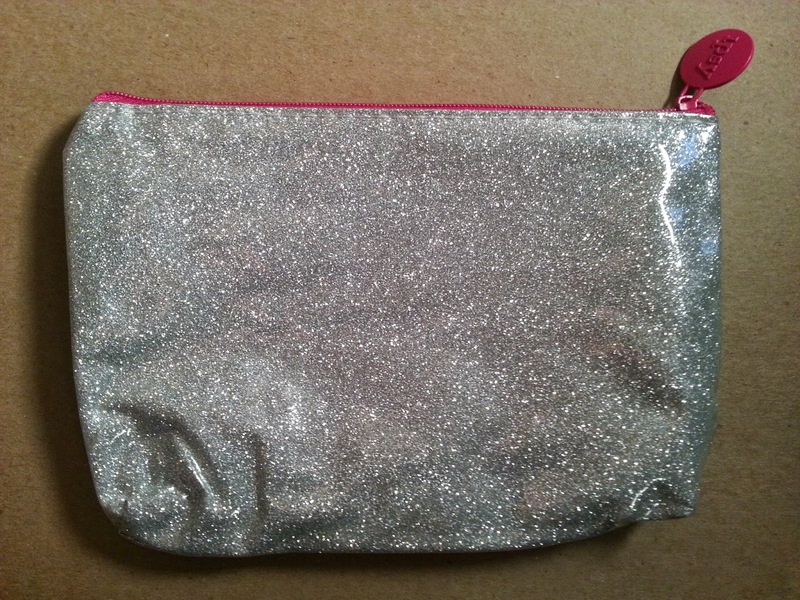 The theme this month is Girl Meets Glitter, and the bag definitely matches the theme! 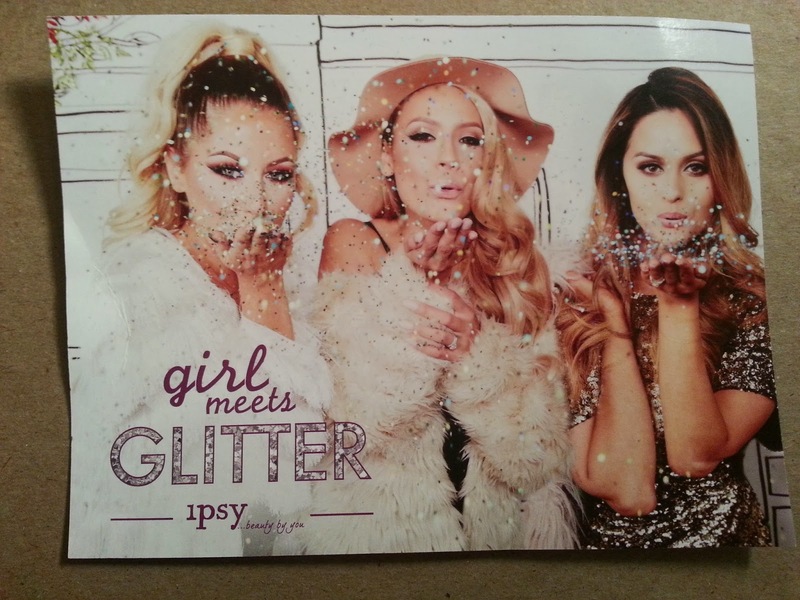 It's all glittery and shiny. I really do like the size of it and how it expands some. j.Cat Wonder Lip Paint (Red Potion) ($4.99) - This looks very dark in the tube, so dark that it's hard to read the text. Luckily, it's not quite so dark once on lips. It is a deep red that was definitely too much for me, but I could see where I might wear it if I were a bit more daring. It can be put on lightly, though, and be useful for me. Don't be discouraged by this dark tube, trust me! TEMPTU S/B Highlighter (Pink Pearl) ($2.75) - I had already received one of these tubes of highlighters in a different shade and I was very unhappy with it. 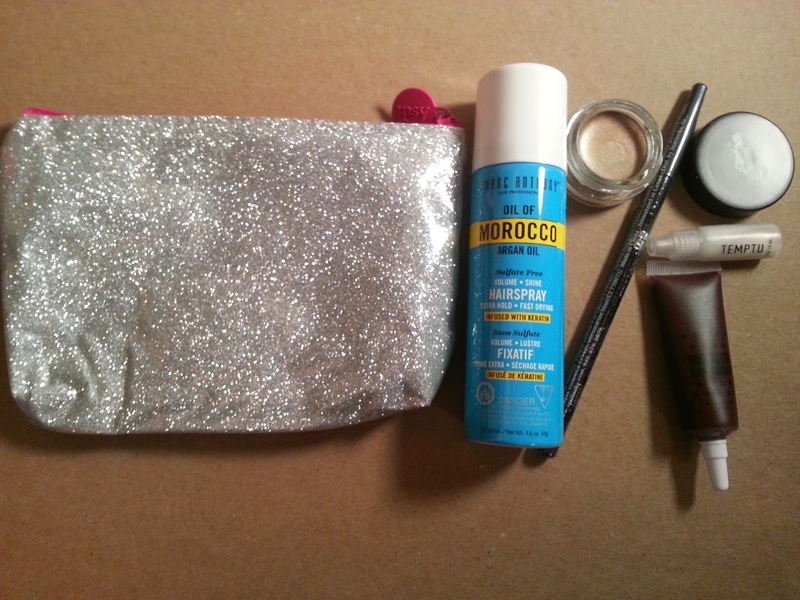 This one, however, is very light and works perfectly as a faint shimmer. It looks amazing with eyeshadow on the brow bone and also looks great on cheek bones. Be a Bombshell Eye Base (Submissive) ($14.00) - I really just love this color. 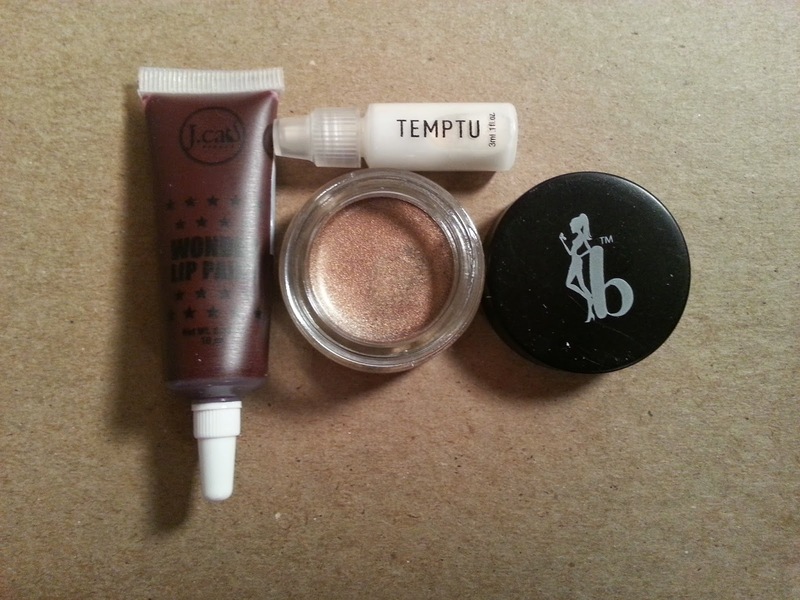 It is supposed to be an eye base to intensify eyeshadow, but it could easily be worn alone! It's a rich bronze with hints of other shades. I also am happy that it is such a substantial amount of product, that I'll be able to use it for a while! 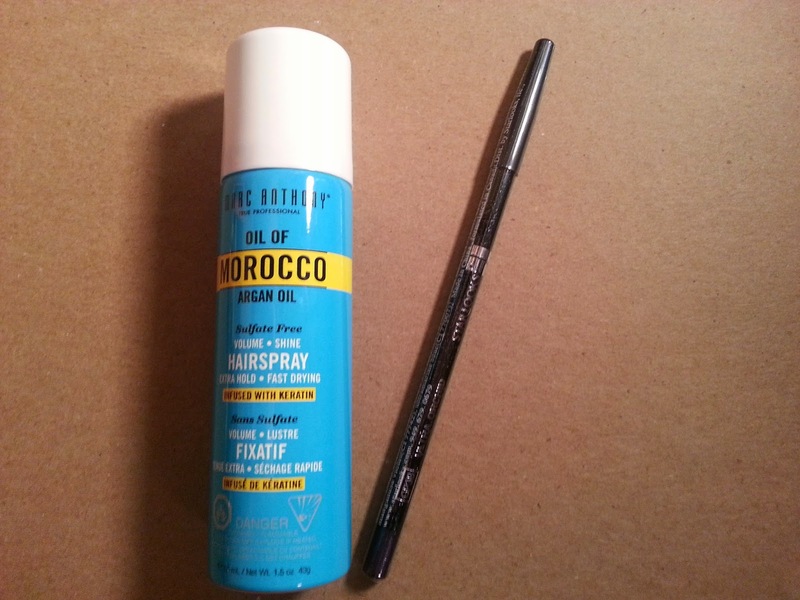 Marc Anthony Oil of Morocco Hairspray ($1.53) - I'm not a fan of hairspray, but I like that it uses argan oil! It is extra hold, so it will be passed on to someone that uses hairsprays like that. Starlooks Gem Eye Pencil (Ultra Orchid) ($17.00) - Another Starlooks pencil! I'm loving that this one is purple. I love wearing purple liners and this matches some of my looks perfectly! I definitely recommend everyone own at least one, because I'm working on owning all of the colors!! Overall, this bag is worth $40.27, which is incredible for only costing $10! I was honestly happy with all of my products besides the hairspray, and my mom can always use another one of those! 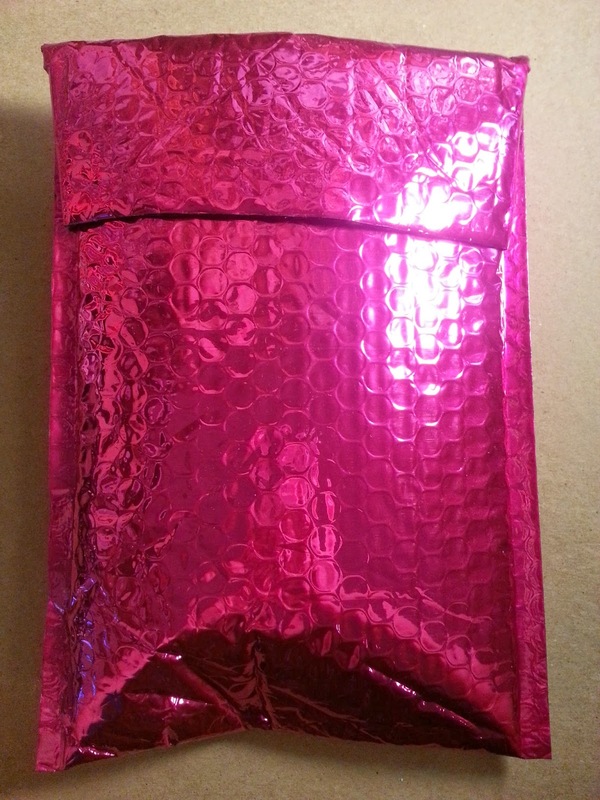 What are your thoughts on this ipsy bag? Let me know in the comments!